“YES, a meal replacement shake can help you lose weight.” But how? A good meal replacement shake will provide your body with protein, fiber, and nutrients, as well as be lower in calories. The best meal replacement shake will also include additional ingredients to help with appetite control, so you can manage your cravings, as well as be low in sugar and come in a variety of delicious flavors. When you drink a meal replacement shake, you are giving your body all the nutrients it needs while controlling the calories you consume, so you can stay in the weight loss zone. It’s a cold hard fact: if you can’t manage your hunger and cravings, you won’t achieve long-term weight loss. That’s where IdealShake comes into play. 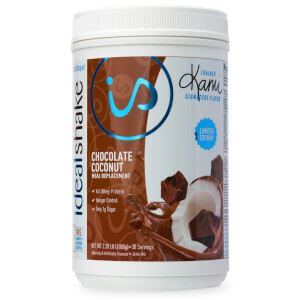 IdealShake is a meal replacement shake that doesn’t just provide protein, fiber, and a lot of vitamins and minerals, it has also been demonstrated to help control hunger for up to 3 hours! It also comes in 9+ tasty flavors to satisfy any sweet tooth. Replace up to 2 meals a day with a meal replacement shake to help you reduce your daily calorie intake so you can see amazing weight loss results when combined with a healthy lifestyle and physical activity. 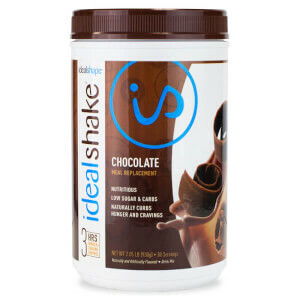 With IdealShake, you’ll feel fuller between meals with a hunger-blocking blend and get daily nourishment with whey protein, fiber, vitamins, and minerals. With so many meal replacement shakes available, it can be difficult to know which one will help you achieve the best weight loss results. An average meal replacement shake will provide you with calories and nutrients so you can replace a high-calorie meal. The best meal replacement shakes for weight loss won’t just be lower in calories and higher in nutrients, it will also provide additional hunger-controlling ingredients to help increase feelings of fullness, making it easier to lower daily calories consumed. This is a huge factor for successful weight loss. 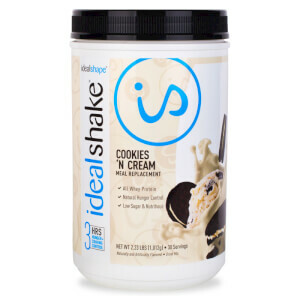 IdealShake is a delicious, convenient meal replacement shake formulated with a unique combination of protein, fiber, and a hunger blocking blend that can control hunger for up to 3 hours. IdealShape has chosen Slendesta, a potato protein extract with no reported side effects, as it's hunger blocking blend of choice. 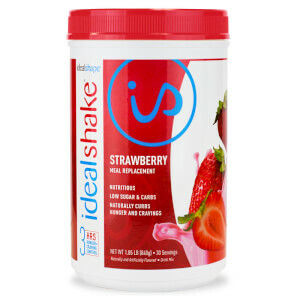 You want your meal replacement shake to be low in calories and sugar, which is why IdealShape is only 110-120 calories with only 1-3 grams of sugar per serving. With tons of flavors to choose from (like Chocolate, Cookies ‘N Cream, Salted Caramel and more! ), you’ll never be bored. Will a meal replacement shake help you lose weight? - Keeping you full with protein, fiber, and vitamins and minerals. Long story short, if you want to lose weight, try IdealShake.